These two prepaid recharge plans of Airtel also offer unlimited calling and free SMSes benefits. These two prepaid recharge plans of Airtel are valid for 28 days. Bharti Airtel recently revised its existing prepaid recharge plans priced at Rs 549 and Rs 799 and is offering more data benefits now. 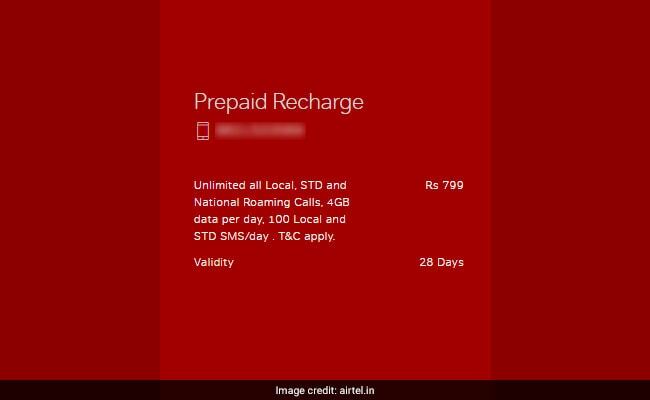 Airtel's revised Rs 549 prepaid recharge plan now offers 3.5GBs of per day data for a period of 28 days. While Airtel's Rs 799 prepaid recharge plan now offers 4GBs of per day data for a period of 28 days. 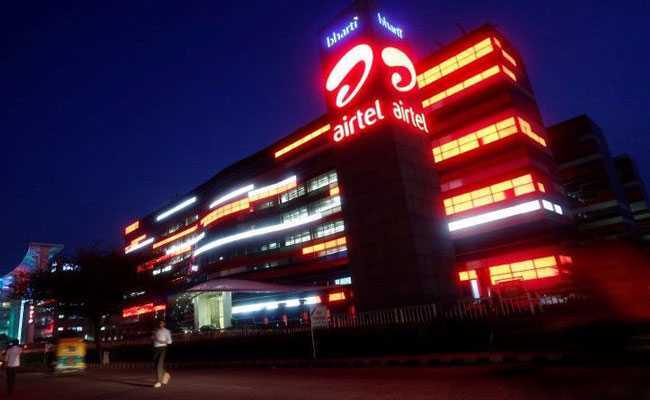 These two prepaid recharge plans of Airtel also offer unlimited calling and free SMSes benefits, as mentioned on the official website of Airtel- airtel.in. Airtel's revised prepaid plans priced at Rs 509 and Rs 799 now directly counters Reliance Jio's Rs 509 and Rs 799 prepaid plans. 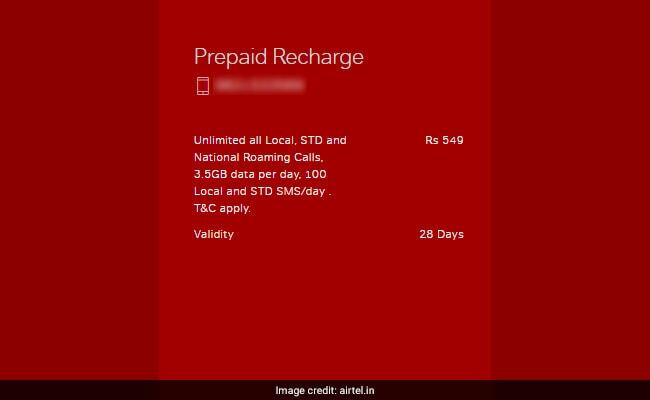 Airtel's revised prepaid recharge plan priced at Rs 549 offers a total of 98GBs of 3G/4G data for a period of 28 days with a daily cap of 3.5GB data. Unlimited local, STD and roaming voice calls are also bundled with this plan. Airtel's Rs 549 prepaid recharge plan also offers 100 free SMSes per day. The validity of the plan is 28 days. Airtel's revised prepaid recharge plan priced at Rs 799 offers a total of 112GBs of 3G/4G data for a period of 28 days with a daily cap of 4GB data. Unlimited local, STD and roaming voice calls are also bundled with this plan. Airtel's Rs 799 prepaid recharge plan also offers 100 free SMSes per day. The validity of the plan is 28 days. Airtel recently also recently introduced prepaid recharge plan priced at Rs 249 and revised its existing Rs 349 plan. The telecom operator also launched postpaid plan priced at Rs 649. It also announced a prepaid recharge plan at Rs 49.